Andre Russell clattered an unbeaten 49 to guide Kolkata Knight Riders to a big win over SunRisers Hyderabad. 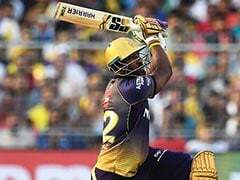 Andre Russell smashed an unbeaten knock of 49 runs to power Kolkata Knight Riders to a six-wicket win over SunRisers Hyderabad at the Eden Gardens on Sunday. The Windies all-rounder's 19-ball knock, decorated by four boundaries and as many sixes, kept the home crowd at the edge of their seats until the end of the run-chase. Young batsman Shubman Gill smashed the winning six as KKR chased down a competitive target with two balls to spare. 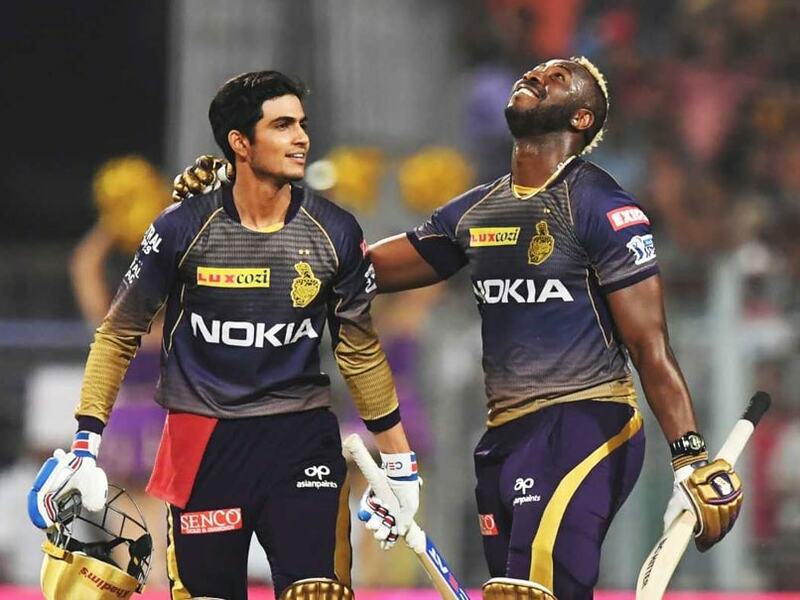 KKR co-owner Shah Rukh Khan revealed that "big boy" Andre Russell wanted to cry after KKR's win and thanked the home crowd for their support. "@Russell12A said to me that he was so overwhelmed with the welcome fans gave him, that he wanted to cry. Then decided big boys don't cry in public. @NitishRana_27 @robbieuthappa and @RealShubmanGill and the whole team plays for you Kolkata. Thank you for the Love," Shah Rukh said on Twitter. @Russell12A said to me that he was so overwhelmed with the welcome fans gave him, that he wanted to cry. Then decided big boys don't cry in public. @NitishRana_27 @robbieuthappa & @RealShubmanGill & the whole team plays for You Kolkata. Thk u for the Love. 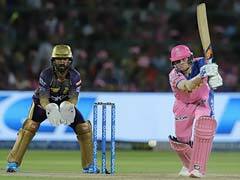 After opting to bowl, KKR bowlers failed to put pressure on SRH in early overs. The opening pair of David Warner and Jonny Bairstow established a century-stand for the visitors. Warner top-scored for SRH with a 53-ball 85 on his return to the Indian Premier League (IPL) after missing the entire 2018 season due to a 12-month ban for his involvement in the match-fixing scandal in South Africa last year. 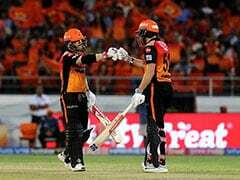 Wicketkeeper-batsman Bairstow made 39 runs off 35 balls, while Vijay Shankar chipped in with unbeaten 40 runs as SRH posted 181 for three in their allotted 20 overs. For KKR, Russell claimed two wickets and spinner Piyush Chawla took a crucial scalp of Bairstow. Chasing 182, Nitish Rana built a strong foundation for KKR with a 68-run knock, including eight boundaries and three sixes. Russell then smashed a quickfire knock of 49 runs to help KKR seal a last-over thriller.